If you are searching for large frozen rats, South Florida Rodents offers all types of reptile frozen feeders at affordable prices in single and bulk orders. To all reptile owners that are looking for the best nutritious snake food, they got you covered. South Florida Rodents is a premier company that sells a wide range of live and frozen feeder products at reasonable prices. They have been in the feeder business for many years and complying with FDA food handling and storage guidelines while meeting strict processing requirements before selling it to customers. In their website, they have a comprehensive catalog of frozen feeder products, live crickets, and worms, with user-friendly shopping cart options. Also, their staff has gained experience and expertise by handling hundreds of orders per day, answering inquiries regarding their frozen food methods while delivering quality products all over the US. Offer your pet snake feeder rats that are roughly the same size as your snake (the mid-body area). Keep in mind that the feeder rat should be 1 to 1.5 times the diameter of your snake’s middle diameter. 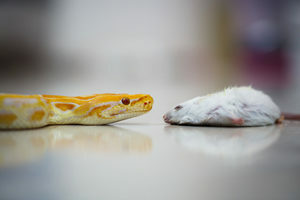 Moreover, make sure you feed your adult snake rats or mice according to their size and proportions, as they will still be hungry if not considering this advice. 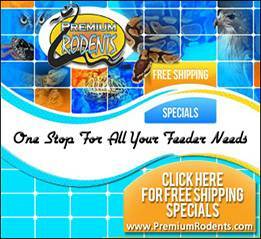 South Florida Rodents, sells large frozen rats ideal for adult pet snakes as these rats offer more nutritional value than average-sized rats and mice. 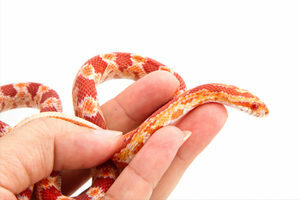 Furthermore, they have less fat and more muscle than mice, which means more nutrition for your pet snake. Each pack of frozen large rats they sell contains five large frozen rats, and you can order as many bags as you want. 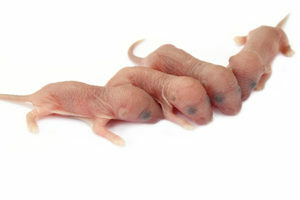 South Florida Rodents specializes in supplying frozen pink rats to pet breeders, stores, and directly to the public. All rats are fed the best quality rat food from premium products, ensuring they are premium quality. All their rats and mice are born and raised on site, so rest assured they have been raised in a healthy environment. Furthermore, they euthanize them humanely and use only gaseous carbon dioxide which is painless and quick for the animals. 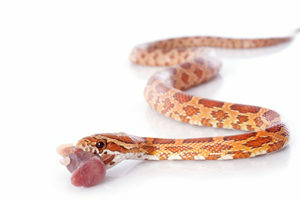 Frozen pink rats are a perfect alternative diet for smaller and bigger snakes. They are smaller than the large rats, high in nutrition and convenient to feed any pet snake. Each pack of frozen pink rats contains 25 frozen pink rats.